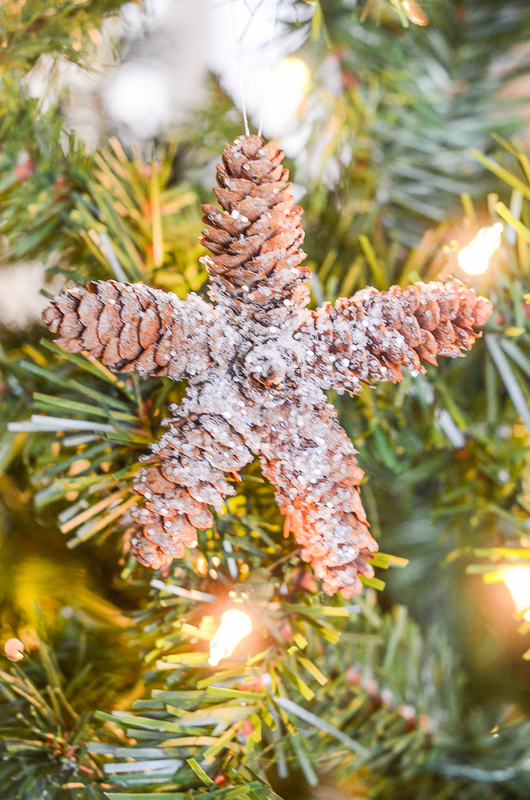 Add a custom look to your Christmas tree this year by making your own beautiful ornaments. Or make a few to give as gifts! 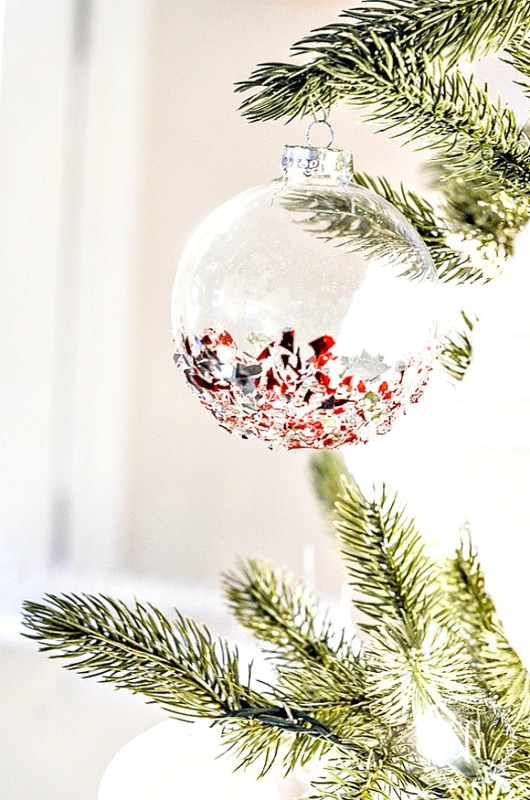 So easy and a beautiful way to add a bit of your personality to your tree! Let’s make some Christmas ornaments today! Today on Decorating Tips And Tricks we are talking about HOW TO THROW THE BEST POTLUCK DINNER! Yes, there really is a method to making it both easy and delicious. And I think we have changed Kelly’s mind from being anti potluck to maybe throwing a potluck party herself! Just imagine a few of these big ornaments on your tree. They certainly do have that big WOW factor!!! I’m making several for my tree this year. Why don’t you join me? Keeping with the pinecone theme, making these sweet little pinecone stars could not be easier! I think they give a tree a little bit of a natural look… that has a bit of twinkle! These beautiful and delicate looking snowflake ornaments were made from regular old clothespins! So easy and just so pretty! I added a fine dusting of crystal glitter to make them sparkle! They are just the thing to stand out and make your tree look spectacular! 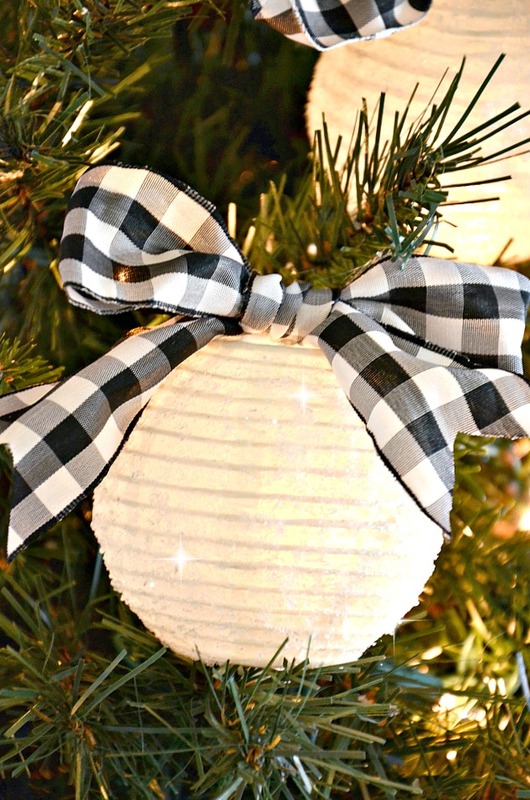 These pretty ornaments glow and sparkle when the lights of your tree are on! I actually put a tree light inside each frosted lantern. And they are so so easy to make. I love putting paper lanterns of all sizes in my tree! 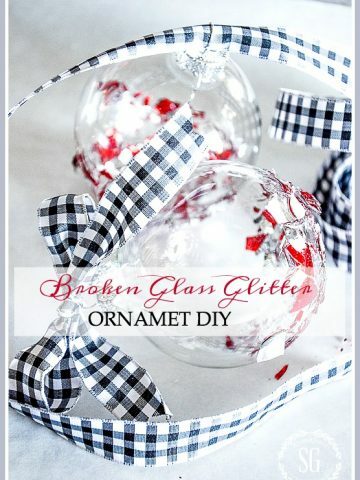 Now you have a great way to use those broken ornaments we have every year. Make new ornaments from them. Broken glass ornaments are so beautiful on a tree. Such a beautiful and different kind of ornament. Are you ready to make some new ornaments for your tree this year? You might like to follow me on Pinterest and see what I’m finding to share every day HERE. I am so glad that I have found your blog again. I had always enjoyed reading your blog but it was lost when we replaced our computer. Maria, you can always go straight to StoneGable on any device. 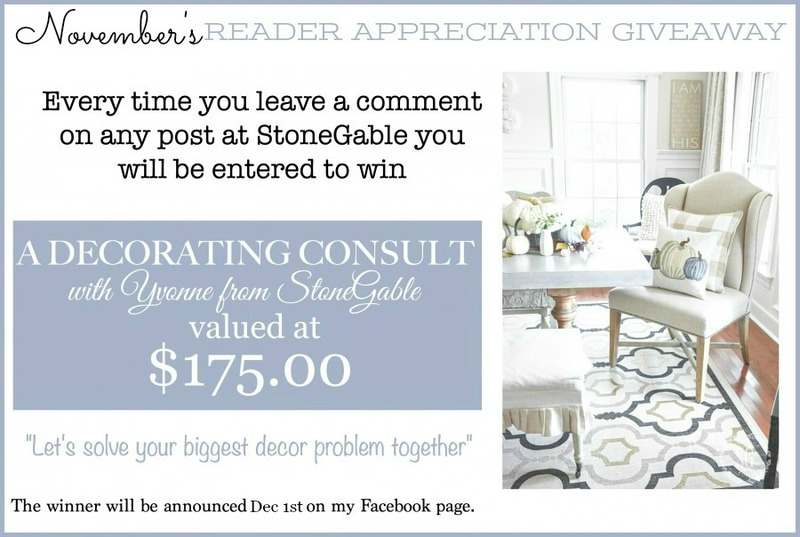 just google “stonegableblog” or go to http://www.stonegableblog.com. I’m always here! 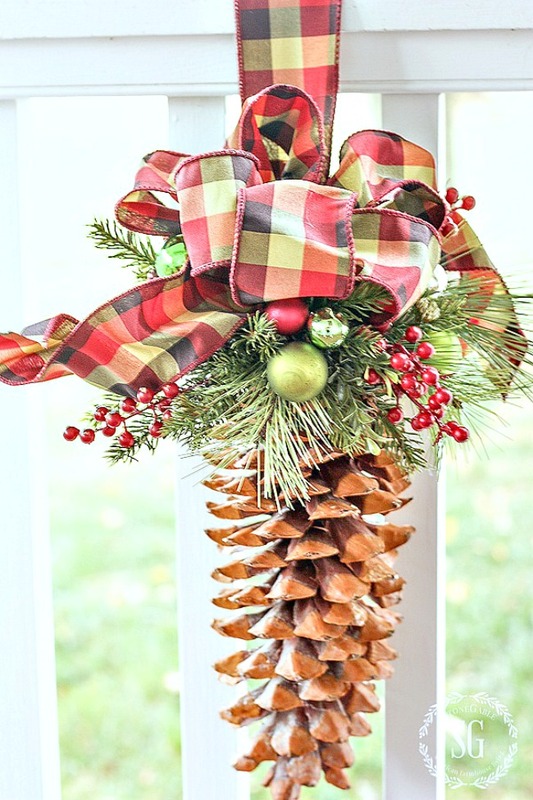 I just love using pinecones in décor. I have a plentiful supply. Thanks for the ideas. Thank you Yvonne. I will try some of these beautiful ideas. I think we’ll make some of these, too. All of these are so pretty; you share the best ornament ideas. What great ornaments these are to make. I like these ornaments you have made. I love the Star pinecones.. so beautiful and natural. I plan on making these for gifts for my sons for their Xmas trees. 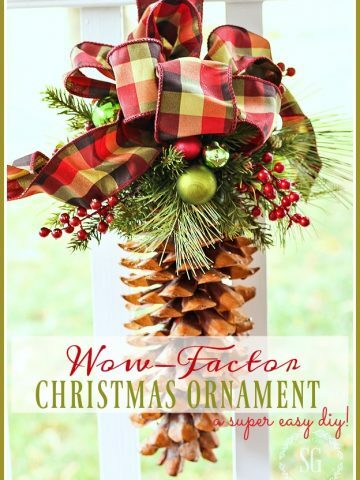 I especially like the pinecone ornament with the plaid ribbon.I love decorating with ribbon and adding it to the tree. Love all of these ornament ideas. Super cute! Love all the ornaments and thank you for the directions too! You are such an inspiration! 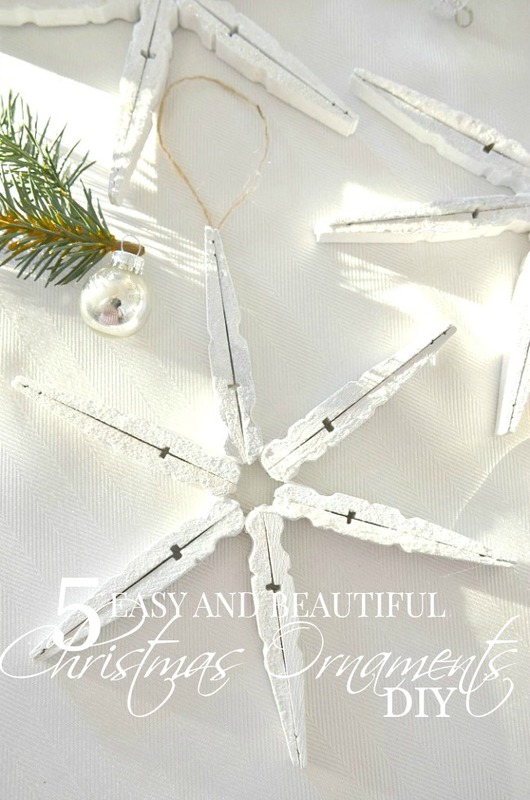 I love all of these great ideas, but especially the clothespin star. I always like a little bling or shabby, so I think I will get some of the larger press-on pearl halves to go in the center. Definitely cream pearl, but I guess most any color pearl would look great! Thank you for such great ideas! Am so glad I joined this group. Have a blessed day! Sounds so pretty, Bonnie. Thanks for the inspiration! Ornaments can also be made with children…they especially love the glistening ones! 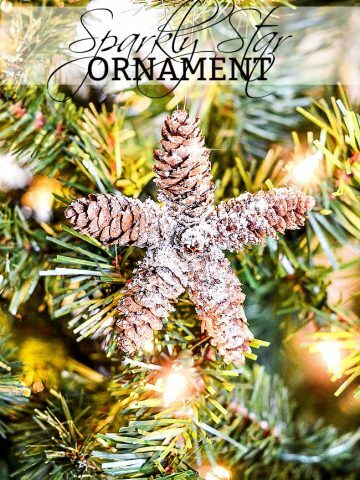 These ornament ideas are so cute! 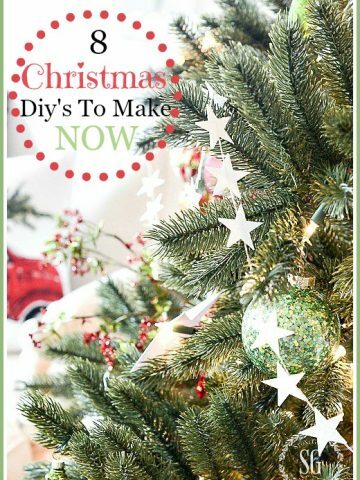 All great ideas for ornaments. I especially love the ones using clothesline and pinecones. Thanks for sharing the instructions on how to make them. I really like the paper lanterns. I am going to try and find some of these and do this project. They look beautiful. They really look beautiful on the tree!